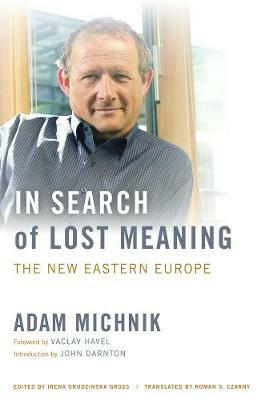 In this new collection of essays, Adam Michnik - one of Europe's leading dissidents - traces the post-cold-war transformation of Eastern Europe. He writes again in opposition, this time to post-communist elites and European Union bureaucrats. Composed of history, memoir, and political critique, "In Search of Lost Meaning" shines a spotlight on the changes in Poland and the Eastern Bloc in the post-1989 years. Michnik asks what mistakes were made and what we can learn from climactic events in Poland's past, in its literature, and the histories of Central and Eastern Europe. He calls attention to pivotal moments in which central figures like Lech Walesa and political movements like Solidarity came into being, how these movements attempted to uproot the past, and how subsequent events have ultimately challenged Poland's enduring ethical legacy of morality and liberalism. Reflecting on the most recent efforts to grapple with Poland's Jewish history and residual guilt, this profoundly important book throws light not only on recent events, but also on the thinking of one of their most important protagonists.